… outline how the local authority intends to manage its infrastructure assets, taking into account the need to … provide for the resilience of infrastructure assets by identifying and managing risks relating to natural hazards and by making appropriate financial provision for those risks. In this Part, we discuss what councils said in their LTPs – in particular, in their infrastructure strategies – about how they intend to provide for the resilience of their infrastructure assets so that they can continue to deliver services to their communities. We consider that there is a need for councils to have a comprehensive discussion about resilience33 and climate change issues with their communities. The discussion needs to cover financial and non-financial effects. There is the need and opportunity for a national approach to provide leadership for resilience, including the resilience to climate change. Having effective and reliable infrastructure is vital for providing critical services to communities. Natural hazard events, including those resulting from climate change, can adversely affect council infrastructure, compromising councils' ability to deliver these services and a community's ability to recover after such events. Since the 2015-25 LTPs, several significant natural hazard events have occurred.36 The policy and regulatory settings continue to change in response to new information about the probability and effects of natural hazards and climate change. In 2015, the Parliamentary Commissioner for the Environment commissioned the National Institute of Water and Atmospheric Research to provide a nationally consistent coastal risk exposure assessment. The Parliamentary Commissioner for the Environment used information from National Institute of Water and Atmospheric Research as the basis for its report Preparing New Zealand for rising seas: Certainty and Uncertainty . The Ministry for the Environment updated its guidance Coastal Hazards and Climate Change in December 2017 in response to updated climate change scenarios. In June and July 2018, the Government consulted on a proposed Zero Carbon Act that would establish a Climate Change Commission. The Zero Carbon Act would also require the preparation of a national climate change risk assessment and national adaptation plans that prioritise actions based on regular risk assessments. How have councils described the risks to their assets from natural hazards? the consequent vulnerability of those assets to damage from natural hazard events. Many councils assumed in their 2018-28 LTPs that, in the next 10 years, the effects of climate change will not significantly affect their communities and that there will be no major natural hazard events. In our 2018 report Long-term plans: Our audits of councils' consultation documents , we noted that councils are developing an understanding of the risks that natural hazards and climate change effects pose to their communities and their infrastructure assets that will then inform decision-making about investments. This is equally reflected in councils' latest infrastructure strategies. Most councils included a simple generic discussion of natural hazards and climate change based on nationally available information – listing the natural hazards the council's geographic area has experienced or can expect to experience, with limited explanation of what this meant for the resilience of their infrastructure. Some councils acknowledged that little is known about these risks and identified actions to address this. For example, Environment Southland noted that Southland councils might have to consider jointly investing in preparing more accurate data to help them understand the extent of the potential effects of sea-level rise and storm surges, so that they plan for and manage those increasing risks. A few councils described the effects that could be reasonably expected from natural hazards and climate change for each asset class/activity area that they are responsible for. For example, Marlborough District Council identified the vulnerabilities of its roading, wastewater, rivers and land drainage, and stormwater assets to natural hazards and climate change. From our review of the infrastructure strategies, we noted that councils have a limited understanding of the risks natural hazards and climate change pose to their infrastructure assets. In general, councils have a limited understanding of the condition and performance of their assets, in particular their three waters assets (see also Part 5), and have a variable understanding of the likelihood of natural hazard events occurring. This means that councils are limited in their ability to advise their elected members of these risks, communicate the risks to their communities, and make informed decisions about how to manage their assets in response. There is little national ownership of risk reduction. There is no consistent basis to make natural hazard risk management decisions. There is dispersed information and guidance on natural hazards. The Council considers that a national policy statement on natural hazards might improve this situation. We have taken a broad view of management approaches capturing financial and non-financial activities to avoid, remedy, or mitigate the effects of a natural hazard event (including from climate change) on a council's infrastructure assets. the council's financial position/strategy (debt levels, use of reserves, targeted rates). The Act requires councils to make appropriate financial provision to address the risks to their infrastructure assets from natural hazards. Councils cannot do this effectively if they have a limited understanding of these risks. As we noted in Part 5, councils are forecasting larger capital expenditure during the next 30 years compared with their forecasts for 2015-25. A component of this expenditure will be to address resilience matters. The accuracy of these forecasts depends on several assumptions, including the likelihood of a natural hazard event occurring and asset condition information. We expect that expenditure addressing resilience matters will increase as councils get a better understanding of risks. Councils expect to suffer a loss as a result of major natural disasters/shock events. Most councils assume that they will be able to respond to such events through their insurance, by drawing on available debt financing (or, in some instances, reserve funds put aside to address natural hazard events), and/or by receiving central government assistance. In general, councils that have experienced a recent natural disaster set out clearer management responses in their infrastructure strategies. For example, Waimakariri District Council has prepared a Risk Assessment and Financing Strategy to assess the financial effects of major natural disasters, based on the worst-case scenario of a major earthquake. The Council estimates that the loss or damage to its assets and the costs to recover from a major earthquake will be about $210 million. The Council notes that it will rely on continuing Crown funding support, as well as having prudent insurance arrangements. Any of the Council's share of the recovery costs would be funded by borrowing. The Council has provided for some capacity to borrow in its financial strategy. It can use this capacity only to respond to natural hazard events. We found that most councils are deferring making decisions about how to respond to the effects of climate change because there is too much uncertainty. A small number of councils acknowledged their limited understanding of risk and had a plan for addressing this. In its infrastructure strategy, Nelson City Council included a section on specific infrastructure challenges associated with natural hazards for each activity. For each challenge, the Council also set out proposed solutions. The Council referred to the Ministry for the Environment's guidance and the 10-step decision-making process for councils and communities to plan for the effects of climate change on coastal hazards.45 The Council states that, during the next 10 years, it will work with the community to understand, prepare, and respond to climate change and its effects. Buller District Council acknowledged that it needs to be more sophisticated in how it thinks about resilience. The Council has been working with other West Coast councils on strategies for managing natural hazards and on longer-term climate change adaptation and mitigation. The Buller District Lifelines Assets Report (August 2017) discussed the resilience of the Council's infrastructure assets from natural disasters. This has informed the level of insurance the Council holds against natural disasters. Several councils take an adaptive management approach, addressing climate change effects when renewing or replacing an asset or where other factors prompt a reassessment of levels of service. Growth councils have the opportunity to factor in climate change effects when designing new infrastructure and upgrading existing infrastructure. Auckland Council has established a Climate Change Response Fund to address emergency infrastructure repair works, as well as proactively monitor and remediate at-risk infrastructure and provide additional funding to manage the council's coastal assets. Councils need to be transparent with their communities about their current understanding of risk and what this means for future decision-making. For the 2021-31 LTPs, we consider that there is a need for a comprehensive discussion of resilience and climate change issues with the community. This discussion needs to include financial and non-financial effects. It makes little sense for all councils to individually think about how to improve reporting on resilience and climate change issues. There is the need and opportunity for increased leadership on deciding what data is needed, who will collect it, its quality, and what councils need to disclose in future accountability documents, including the LTP. We recommend that central and local government both continue to consider how increased leadership can be provided on these matters. This will be an ongoing process. It is important that, over time, councils increase their dialogue with their communities, learn, and improve the information that they provide. We acknowledge the work that is already under way on a proposed Zero Carbon Act, and the work of central government agencies on how to manage risks from natural hazards and climate change. 33: "Resilience" is not defined in the Local Government Act 2002. For the purposes of this report, we have used the widely accepted United Nations definition (UNISDR, 2009): "The ability of a system, community or society exposed to hazards to resist, absorb, accommodate to and recover from the effects of a hazard in a timely and efficient manner, including through the preservation and restoration of its essential basic structures and functions through risk management." 34: Insurance Council of New Zealand (2013), Protecting New Zealand from Natural Hazards , page 5. 35: See Ministry for the Environment's discussion document on a proposed Zero Carbon Act. Ministry for the Environment (2018), Our Climate Your Say: Consultation on the Zero Carbon Bill , page 47. 36: For example, the Edgecumbe floods, the Hurunui/Kaikōura earthquake, and Cyclone Gita. 37: See the climate change publications at the Ministry for the Environment website at www.mfe.govt.nz. 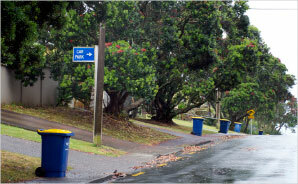 38: See Stormwater, wastewater and climate change project at www.deepsouthchallenge.co.nz. 39: Local Government New Zealand (2018), "LGNZ work reveals billions at risk from sea level rise" at www.lgnz.co.nz. 40: Section 62 of the United Kingdom's Climate Change Act 2008. 41: See the Chart of the Sendai Framework for Disaster Risk Reduction 2015-2030 at www.preventionweb.net. 42: See the sustainable development goals at sustainabledevelopment.un.org. 43: Gallego-Lopez, C., and Essex, J. (2016), Understanding risk and resilient infrastructure investment . 44: Ministry for the Environment (2018), Our Climate Your Say: Consultation on the Zero Carbon Bill , page 48. 45: Ministry for the Environment (updated 2017), Coastal Hazards and Climate Change: Guidance for Local Government , page 14. 46: Coastal Hazard Committee (2016), Clifton to Tangoio Coastal Hazards Strategy 2120 , version 2, page 6.